There are two goals set for CICEP. First, the Centre will help identify and design realistic policy options and strategies that can effectively drive the transition toward a low carbon future. Second, it will build knowledge about the consequeces of plausible policy options for international and European energy and energy technology markets for major Norwegian industries and for government strategies. The work is organized in five work packages (WPs). FNI is involved in three of these. WP 1 deals with 'Domestic policy development - driving forces and long-term trajectories' (FNI coordinator: Steinar Andresen). WP 2 deals with 'Exploring effective and feasible international climate regimes' (FNI coordinator: Steinar Andresen). WP 4 deals with 'European climate, energy and technology policies: Opportunities and constraints for Norwegian actors' (Coordinator: Jon Birger Skjærseth). CICERO has the main responsibility for the first two packages while FNI has the main responsibilty for WP 4. See the CICEP website for more information (in Norwegian). London/New York, Routledge, 2018, 262 p.
Basingstoke (UK), Palgrave, 2016, 119 p.
Cheltenham, Edward Elgar, 2015, 216 p.
London/New York, Routledge, 2014, 265 p.
Farnham, Ashgate, 2013, 223 p.
Journal of Common Market Studies, published online 11.12.2018. 13 p.
In Adriana Galderisi and Angela Colucci (eds), Smart, Resilient and Transition Cities. Emerging Approaches and Tools for a Climate-Sensitive Urban Development. Amsterdam/Oxford/Cambridge MA, Elsevier, 2018, pp. 61-65. In Andrew Jordan, Dave Huitema, Harro van Asselt and Johanna Forster (eds), Governing Climate Chsnge - Polycentricity in Action? Cambridge (UK), Cambridge University Press, 2018, pp. 231-248. In Jørgen Wettestad and Lars H. Gulbrandsen (eds), The Evolution of Carbon Markets: Design and Diffusion. London, Routledge, 2018, pp. 145-165. EU emissions trading: Frontrunner and "black sheep"
In Jørgen Wettestad and Lars H. Gulbrandsen (eds), The Evolution of Carbon Markets: Design and Diffusion. London, Routledge, 2018, pp. 30-52. In Jørgen Wettestad and Lars H. Gulbrandsen (eds), The Evolution of Carbon Markets: Design and Diffusion. London, Routledge, 2018, pp. 53-66. 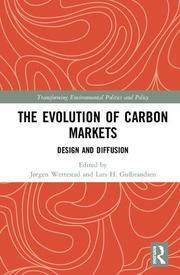 In Jørgen Wettestad and Lars H. Gulbrandsen (eds), The Evolution of Carbon Markets: Design and Diffusion. London, Routledge, 2018, pp. 1-12. In Jørgen Wettestad and Lars H. Gulbrandsen (eds), The Evolution of Carbon Markets: Design and Diffusion. London, Routledge, 2018, pp. 13-29. Emissions trading in Kazakhstan: Complicated application of the "EU model"
In Jørgen Wettestad and Lars H. Gulbrandsen (eds), The Evolution of Carbon Markets: Design and Diffusion. London, Routledge, 2018, pp. 166-179. In Jørgen Wettestad and Lars H. Gulbrandsen (eds), The Evolution of Carbon Markets: Design and Diffusion. London, Routledge, 2018, pp. 229-252. In Wettestad, Jørgen and Lars Gulbrandsen (eds), The Evolution of Carbon Markets. Design and Diffusion. London, Routledge, 2018, pp. 180-207. Global Environmental Politics, Vol 17, No 3, 2017, pp. 12-30. Global Environmental Politics, Vol 17, No 3, 2017, pp. 1-11. Global Environmental Politics, Vol 17, No 2, 2017, pp. 84-104. In Eva Sternfeld (ed), Routledge Handbook of Environmental Policy in China. London/New York, Routledge, 2017, pp. 97-112. In R.K.W. Wurzel, J. Connelly and D. Liefferink (eds), The European Union in International Climate Change Politics: Still Taking the Lead? Abingdon, Routledge, 2017, pp. 37-51. The Paris Agreement: Consequences for the EU and carbon markets? Politics and Governance, Vol 4, No 3, 2016, pp. 188-196. Linked Carbon Markets: Silver Bullet or Castle in the Air? Climate Law, Vol 6, Nos 1-2, 2016, pp. 142-151. In Geert Van Calster, Wim Vandenberghe, Leonie Reins (eds), Research Handbook on Climate Change Mitigation Law. Cheltenham (UK), Edward Elgar, 2015, pp. 451-476. In C. Dupont and S. Oberthür, Decarbonization in the European Union: Internal Policies and External Strategies. Hampshire (UK), Palgrave Macmillan, 2015, pp. 222-243. In G. Bang, A. Underdal and S. Andresen (eds), The Domestic Politics of Global Climate Change. Cheltenham, Edward Elgar, 2015, pp. 182-205. In G. Bang, A. Underdal and S. Andresen (eds), The Domestic Politics of Global Climate Change. Cheltenham, Edward Elgar, 2015, pp. 141-159. In G. Bang, A. Underdal and S. Andresen (eds), The Domestic Politics of Global Climate Change. Cheltenham, Edward Elgar, 2015, pp. 119-140. 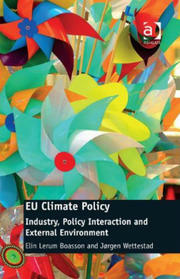 EU climate and energy policy: demanded or supplied? 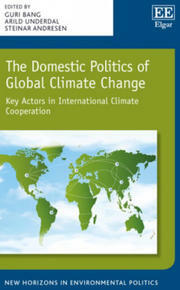 In G. Bang, A. Underdal and S. Andresen (eds), The Domestic Politics of Global Climate Change. Cheltenham, Edward Elgar, 2015, pp. 71-94. In G. Bang, A. Underdal and S. Andresen (eds), The Domestic Politics of Global Climate Change. Cheltenham, Edward Elgar, 2015, pp. 49-70. In Karin Bäckstrand and Eva Løvbrand (eds), Research Handbook on Climate Governance. Cheltenham, Edward Elgar, 2015, pp. 345-356. In Karin Bäckstrand and Eva Løvbrand (eds), Research Handbook on Climate Governance. Cheltenham, Edward Elgar, 2015, pp. 425-435. In P.H. Pattberg and F. Zelli (eds), Encyclopedia of Global Environmental Governance and Politics. Cheltenham, Edward Elgar, 2015, pp. 441-447.
International Climate Negotiations: Top-down, Bottom-up or a combination of both? The International Spectator: Italian Journal of International Affairs, Vol 50, No 1, 2015, pp. 15-30. Carbon capture and storage in the UK and Germany: easier task, stronger commitment? Environmental Politics, Vol 24, No 6, 2015, pp. 1014-1033. In Cherry, T.L., J. Hovi and D.M. McEvoy (eds), Toward a New Climate Agreement: Conflict, Resolution and Governance. London, Routledge, 2014, pp. 266-279. In Cherry, T.L., J. Hovi and D.M. McEvoy (eds), Toward a New Climate Agreement: Conflict, Resolution and Governance. London, Routledge, 2014, pp. 254-264. In Kanie, N., S. Andresen and P.M. Haas (eds), Improving Global Environmental Governance: Best Practices for Architecture and Agency. London/New York, Routledge, 2014, pp. 1-31. In Tony Fitzpatrick (ed), International Handbook on Social Policy and the Environment. Cheltenham (UK), Edward Elgar, 2014, pp. 329-349-17. 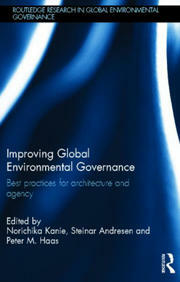 In Kanie, N., S. Andresen and P.M. Haas (eds), Improving Global Environmental Governance: Best Practices for Architecture and Agency. London/New York, Routledge, 2014, pp. 175-196. Exclusive Approaches to Climate Governance: More Effective than the UNFCCC? In Cherry, T.L., J. Hovi and D.M. McEvoy (eds), Toward a New Climate Agreement: Conflict, Resolution and Governance. London, Routledge, 2014, pp. 167-181. Interest Groups & Advocacy, Vol 3, No 1, 2014, pp. 30-58. Rescuing EU Emissions Trading: Mission Impossible? Global Environmental Politics, Vol 14, No 2, 2014, pp. 64-81. Asian Perspective, Vol 38, No 1, 2014, pp. 111-135. EU Legislation to Reduce Carbon Emissions from Cars: Intergovernmental or Supranational Policy-Making? Global Environmental Change, Vol 29, 2014, pp. 404-412. Climate Law, Vol 4, Nos 1-2, 2014, pp. 21-30. In Jon Birger Skjærseth and Per Ove Eikeland (eds), Corporate Responses to EU Emissions Trading: Resistance, Innovation or Responsibility? Farnham (UK), Ashgate, 2013, pp. 209-252. In Jon Birger Skjærseth and Per Ove Eikeland (eds), Corporate Responses to EU Emissions Trading: Resistance, Innovation or Responsibility? Farnham (UK), Ashgate, 2013, pp. 99-125. In Jon Birger Skjærseth and Per Ove Eikeland (eds), Corporate Responses to EU Emissions Trading: Resistance, Innovation or Responsibility? Farnham (UK), Ashgate, 2013, pp. 127-164. In Jon Birger Skjærseth and Per Ove Eikeland (eds), Corporate Responses to EU Emissions Trading: Resistance, Innovation or Responsibility? Farnham (UK), Ashgate, 2013, pp. 283-291. In Jon Birger Skjærseth and Per Ove Eikeland (eds), Corporate Responses to EU Emissions Trading: Resistance, Innovation or Responsibility? Farnham (UK), Ashgate, 2013, pp. 19-43. In Jon Birger Skjærseth and Per Ove Eikeland (eds), Corporate Responses to EU Emissions Trading: Resistance, Innovation or Responsibility? Farnham (UK), Ashgate, 2013, pp. 45-97. 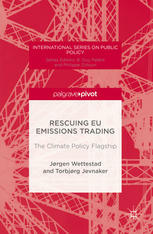 In Jon Birger Skjærseth and Per Ove Eikeland (eds), Corporate Responses to EU Emissions Trading: Resistance, Innovation or Responsibility? Farnham (UK), Ashgate, 2013, pp. 165-208. Governance by EU Emissions Trading: Resistance or Innovation in the Oil Industry? International Environmental Agreements: Politics, Law and Economics, Vol 13, No 1, 2013, pp. 31-48. Does Doha’s Decision Treat Transition Economies Unequally? Climate Policy, Vol 13, No 3, 2013, pp. 403-407. Do We Need More Global Sustainability Conferences? In P. Dauvergne (ed), Handbook of Global Environmental Politics, 2nd edition. Cheltenham (UK)/Northampton (USA), Edward Elgar, 2012, pp. 87-97. 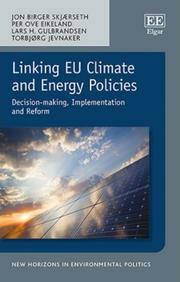 EU Climate and Energy Policy: A Hesitant Supranational Turn? Bye, bye, global carbon market? Energi og Klima. 20.12.2018. In Norwegian. Attac blogpost. 18.12.2018. In Norwegian. A Snowball's Chance in Hell? Can Business Interests End Global Warming? Energi og Klima, 29.11.2018. In Norwegian. Energi og Klima, 1.11.2018. In Norwegian. Iselin Stensdal and Solveig Aamodt. Energi og klima. 10.10.2017. In Norwegian. Dagens Næringsliv. 14.6.2017. In Norwegian. Energi og Klima. 3.6.2017. In Norwegian. Climate Policy Outlook 2017, CICEP, 2017. Energi og Klima. 15.12.2016. In Norwegian. Dagens Næringsliv, 4.11.2016. In Norwegian. Dagens Næringsliv, 18.10.2016. In Norwegian. Norsk Klimastiftelse Rapport, No 4 2016, pp. 9-12. In Norwegian. Norsk Klimastiftelse Rapport, No 4 2016, pp. 53-57. In Norwegian. China Policy Institute Blog, 16.05.2016. FNI Report 3/2016. Lysaker, FNI, 2016, 162 p.
International Efforts to Curb Emissions: Will Paris Succeed Where Others Have Failed? FNI Report 10/2015. Lysaker, FNI, 2015, 36 p.
Dagens Næringsliv, 29.11.2015. In Norwegian. International Environmental Agreements, Vol 15, No 4, 2015, pp. 431-432. FNI Report 6/2015. Lysaker, FNI, 2015, 87 p.
Policy Brief 8 July 2015, Brussels, European Policy Centre, 4 p.
Energi og Klima, 13.05.2015. In Norwegian. FNI Report 1/2015. Lysaker, FNI, 2015, 88 p.
Dagens Næringsliv, 20.01.2015. In Norwegian. FNI Report 10/2014. Lysaker, FNI, 2014, 46 p.
FNI Report 9/2014. Lysaker, FNI, 2014, 101 p.
Implementing EU Climate and Energy Policies in Poland: From Europeanization to Polonization? FNI Report 8/2014. Lysaker, FNI, 2014, 57 p.
FNI Report 5/2013. Lysaker, FNI, 2013, 56 p.
FNI Report 18/2012. Lysaker, FNI, 2012, 105 p.
FNI Report 13/2012. Lysaker, FNI, 2012, 139 p.
FNI Report 12/2012. Lysaker, FNI, 2012, 98 p. In Norwegian. FNI Report 10/2012. Lysaker, FNI, 2012, 109 p.
China’s Climate-Change Policy 1988-2011: From Zero to Hero? FNI Report 9/2012. Lysaker, FNI, 2012, 25 p.
FNI Report 3/2012. Lysaker, FNI, 2012, 34 p.
Vårt Land, 10.12.2018. In Norwegian. NRK P2 (radio). 16.11.2017. In Norwegian. Vihreä Lanka. 4.9.2017. In Finnish. Dagens Næringsliv (paper edition). 26.6.2017. In Norwegian. NRK Dagsnytt atten, 06.09.2016. In Norwegian.